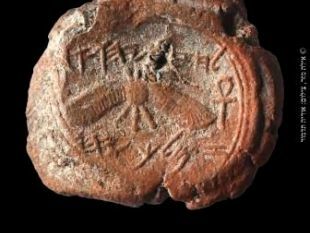 Artifacts from the First Temple period are extremely rare, especially in Jerusalem. Yet now archaeologists report finding a second stone weight from that era that may well have been used in Solomon's Temple itself. "This they shall give, every one that passeth among them that are numbered, half a shekel after the shekel of the sanctuary – the shekel is twenty gerahs – half a shekel for an offering to the Lord" (Exodus 30:13). "A beka a head, that is, half a shekel, after the shekel of the sanctuary, for every one that passed over to them that are numbered, from twenty years old and upward, for six hundred thousand and three thousand and five hundred and fifty men" (Exodus 38:26). 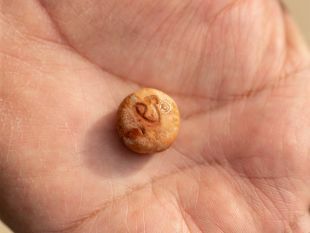 “This 3,000-year-old beka weight inscribed with ancient Hebrew was likely used in the First Temple, anchoring once again, the deep historical connection of the Jewish people to Jerusalem," said Doron Spielman, vice president of the City of David Foundation.